This artwork was created in a pedestrian underpass in Hadar, Haifa. 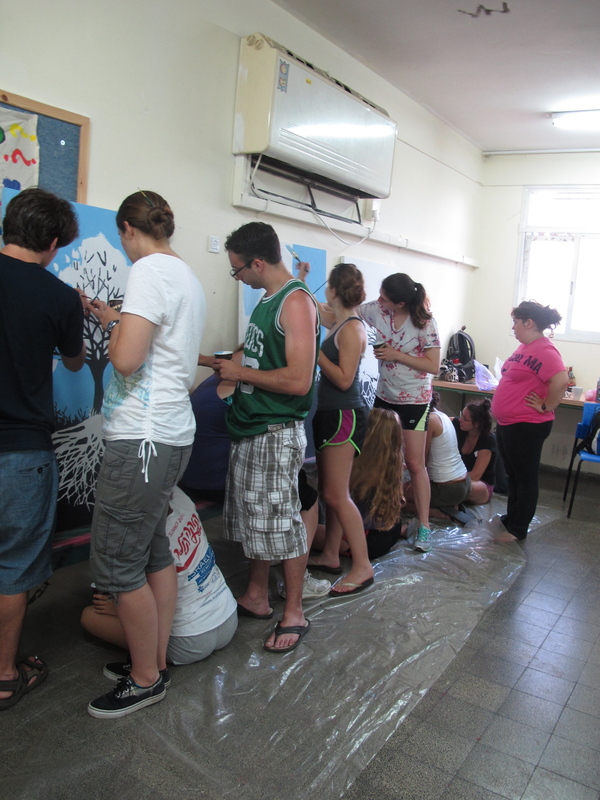 The participants of the project were part of a service learning and social action program in Israel called Yahel. Yahel is an educational organization that offers international students a chance to volunteer in communities across Israel. 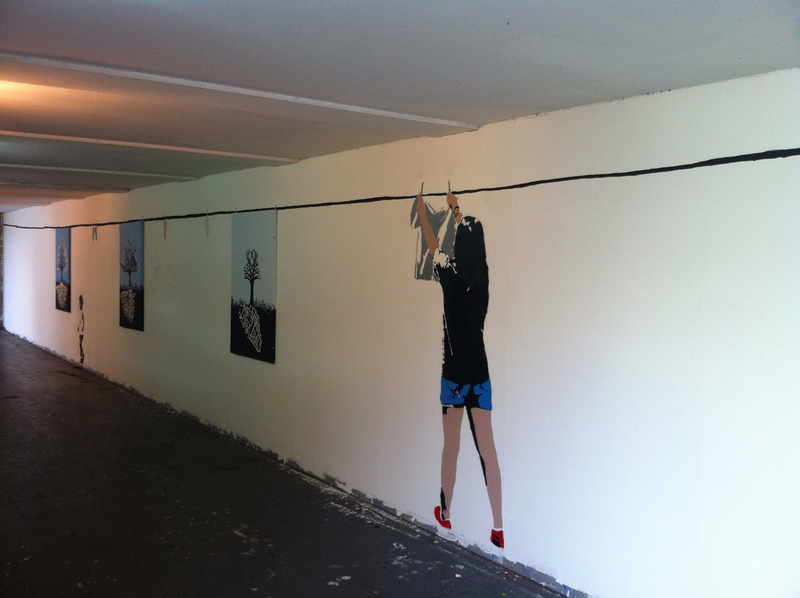 The underpass in which the artwork was created, is a new addition to Hadar. Local urban planners reclaimed the site, which was once a dangerous area, and turned it into a public gallery. The blooming trees with branches and leaves made from outlines of the map of Hadar express Yahel participants’ desire to help Hadar flourish. The stencil on the walls of the underpass of a clothesline is not only a visual platform for the paintings, but also an invitation to the local Hadar community to hang their artwork on the line as well.